Fast Delivery Times On All Orders! 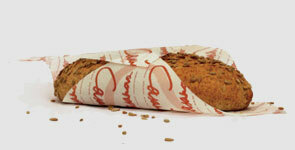 We know you would like to receive your customised greaseproof paper as quickly as possible! Place your order today and it will be with you in just two to three weeks. Our natural greaseproof paper does not have any chemical treatments or coatings. It acquires its greaseproof properties during the pulping process - its fibres become so tightly entwined that the spaces between them are smaller than a grease molecule. 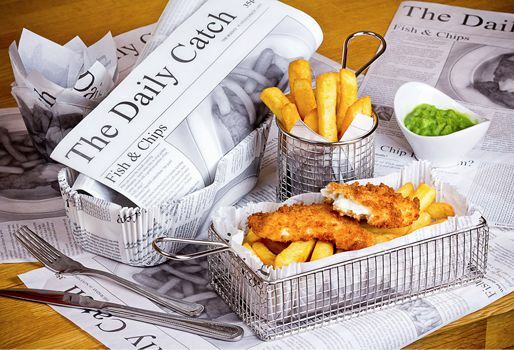 So, natural greaseproof paper is simply paper with no unnecessary chemical treatments, coatings or varnishes and is therefore recyclable and a sustainable option for your valued products. 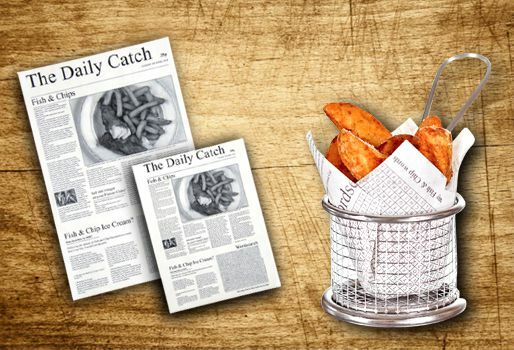 At The Gourmet Food Wrap Company we create beautiful and affordable, environmentally friendly custom printed and pre-printed natural greaseproof paper for the food and hospitality industries. High Quality, Luxurious Product With A Low Affordable Cost! 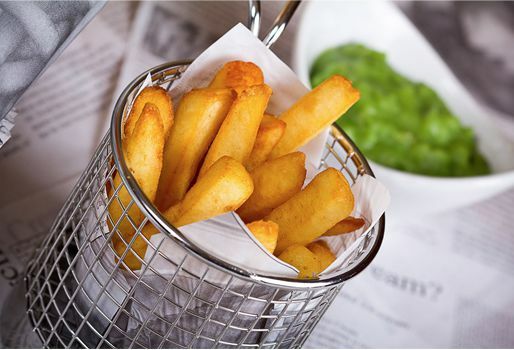 For those seeking an authentic farmer’s market or organic look our new 40gsm Unbleached (Kraft) Pure Greaseproof Paper will provide the ideal value for money answer and help wrap up sales. Use your logo or marketing message to see how printed natural greaseproof will provide attractive and highly versatile packaging that is suitable for a wide range of food products while also allowing your brand to stand out from the crowd. 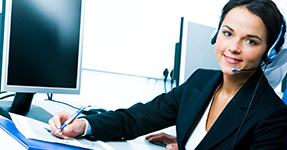 Don't feel you're quite ready to take the plunge and order a bespoke product? 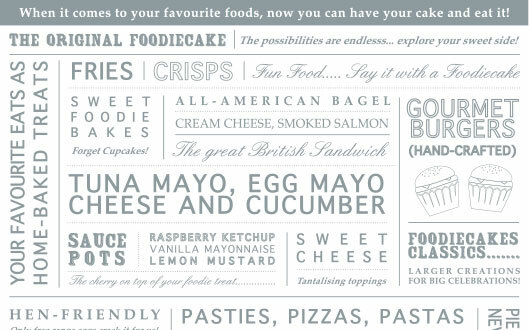 Then test away with our extensive range of sample greaseproof sheets to provide the answer. With lots of different of options to choose from, we will help you find a paper that will suit your brand. 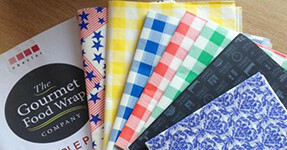 Please give the team at The Gourmet Food Wrap a call today on 01443 819844 and we will be able to give you step by step details of how to create and order your very own Bespoke Cut, Customised Grease-proof Paper. © Copyright 2014. All rights reserved. The Gourmet Food Wrap Company.